Most users/companies do not have a disaster recovery plan or have one that's subpar. This can cause you hundreds if not thousands of dollars in lost time and data.We just endured the storm of the century. How did your company hold up? We can Design and Implement a complete Backup, Storage and Disaster Recovery plan for you and your business. Don't be caught off guard again. Continuous online backup for your entire computer starts at $6.00 per computer per month. Restore your data from anywhere in minutes. Network Documentation is a good practice we believe. Our Staff are experts in providing customized documentation that will lower your risk and provide quick answers to IT related questions. Ransomware is the most dangerous threat that's out there. How does Bitdefender Endpoint Protection protect you from Ransomware? 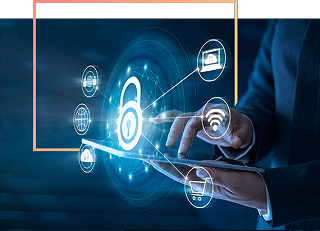 As an adaptive layered security solution, Bitdefender Endpoint Protection provides multiple anti-ransomware capabilities, having all its layers work together for prevention, detection and remediation. Video cameras can now be tied into your network providing you with a way to keep an eye you your assets remotely. We can do a wide variety of Hybrid and IP VIdeo Surviellance Systems. Record months worth of Video while getting the feeds to most computers and mobile devices. 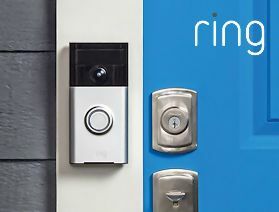 A built-in rechargeable battery lets you install the doorbell anywhere, or connect it to existing doorbell wiring. Motion-triggered alerts sent via the free Ring™ app (iOS® and Android™) notify you of arriving guests and deliveries. Cloud Recording ensures you’ll never miss any activity at your home.